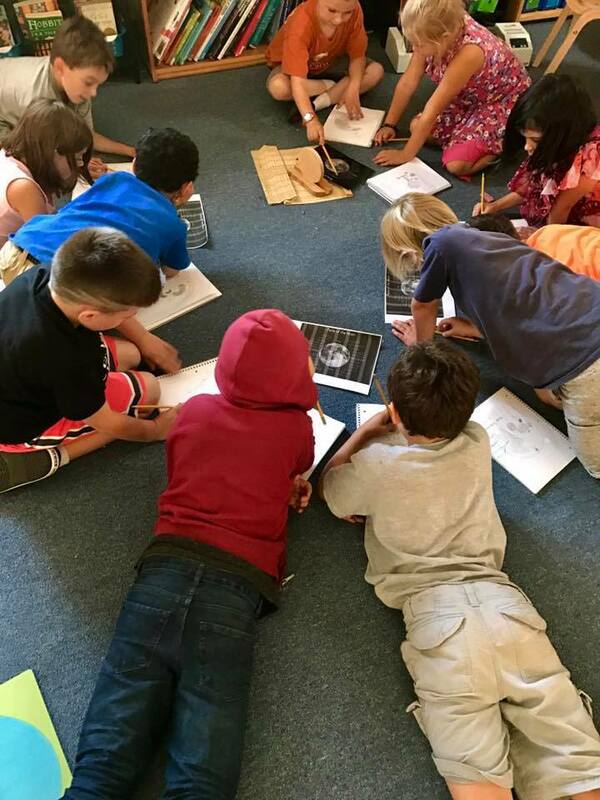 When parents walk into one of our classrooms, they often remark on the quiet, peaceful atmosphere, with students working alone or in small groups, spread out on the floor or at tables. At MVCS we strive to make our classrooms peaceful spaces, visually, emotionally, and socially. Montessori "works" are neatly arranged on shelves and students take pride in keeping these spaces clean and organized. Each classroom features a peace corner, a space for quiet reflection or working out a misunderstanding with a friend. Not only do these ordered spaces enable students to focus on their "work," it also instills an inner sense of peace and calm. Grace, courtesy, and conflict-resolution are a large part of our curriculum here at MVCS. Grace and courtesy lessons continue in the elementary environment from the primary environment, but the format changes from guided role plays to group problem-solving and community meetings. Because the students have entered the second plane of development, they are able to process situations differently. Small meetings between classmates or larger community meetings help students navigate social situations. During these groups, students learn the role of civil discourse, allowing one person to speak at a time. Students discuss situations, and they offer solutions. Students continually evaluate these solutions until there is one which works for everyone. 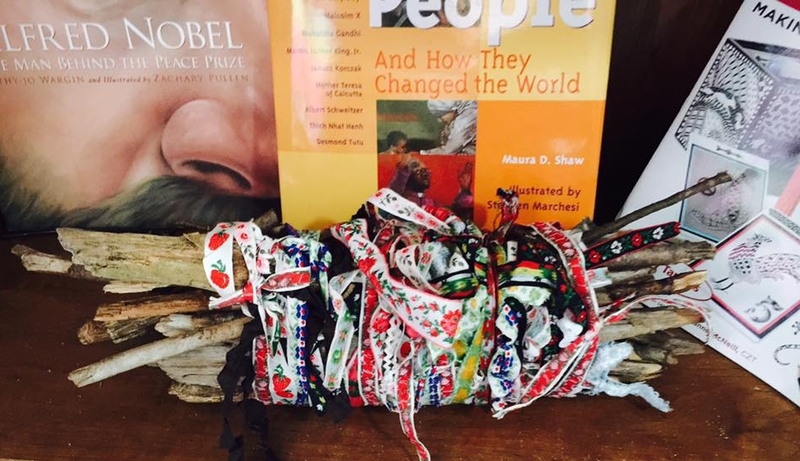 Class peace sticks bundled together, representing unity in our classrooms.